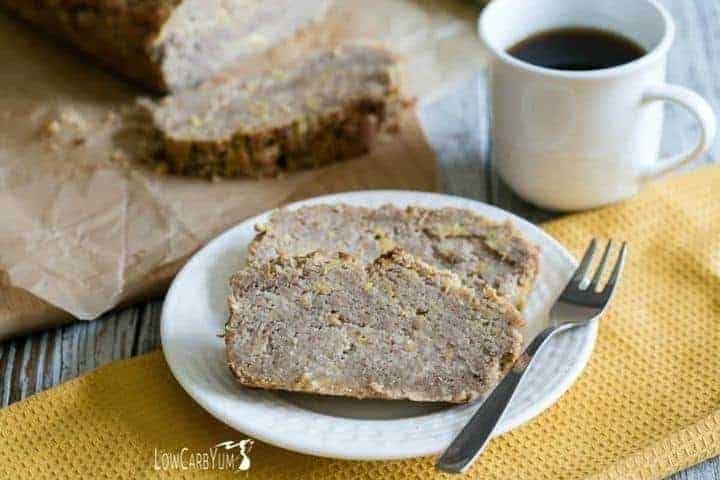 Try this sweet yellow summer squash bread. 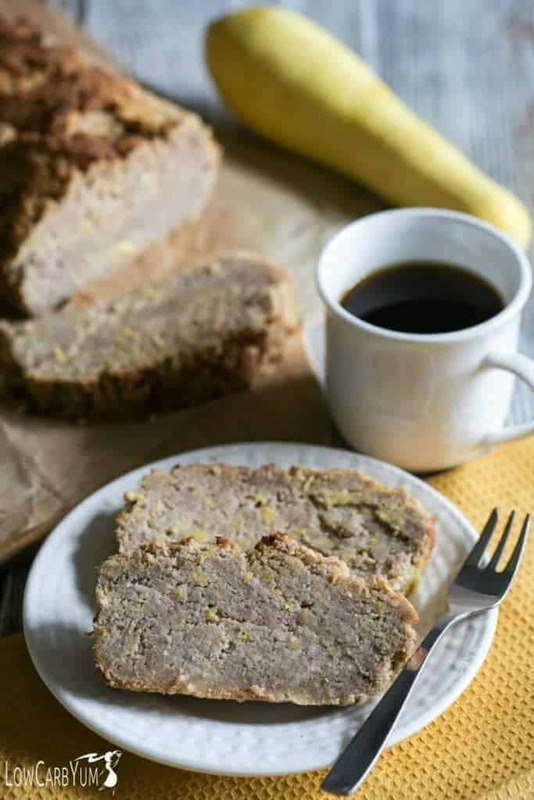 It’s similar to zucchini bread, but uses yellow squash instead. A nice way to use up the garden squash! Our garden is putting out tons of summer squash this year. So, I decided to try them in a bread. 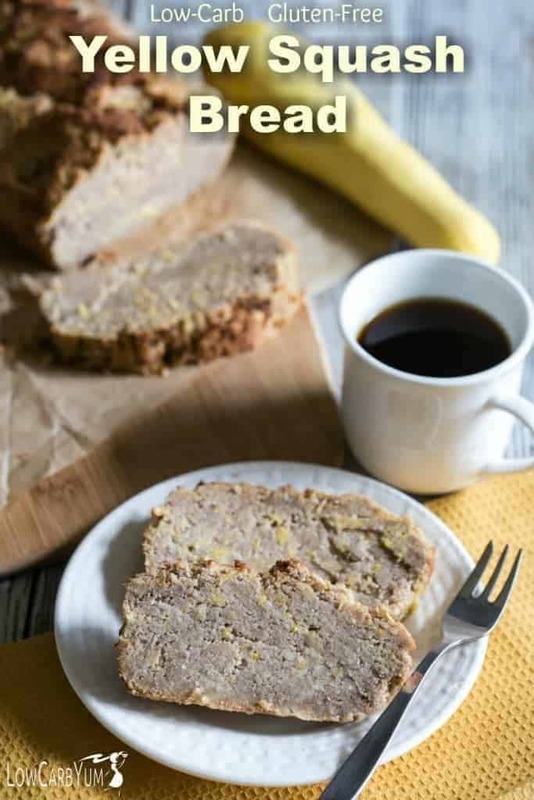 The recipe is similar to zucchini bread, but uses the yellow squash instead. 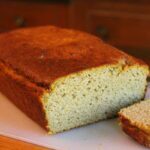 The great thing about adding grated summer squash to a sweet bread is that it provides moisture. 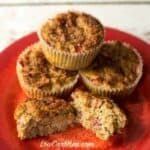 Low carb gluten free baked goods made with coconut flour need adequate liquid to prevent them from being dry. The addition of grated squash provides this needed liquid. For some reason, the yellow summer squash always do much better than the zucchini plants in our garden. They seem to be more resistant to bugs and the weather. We always get tons more yellow squash. 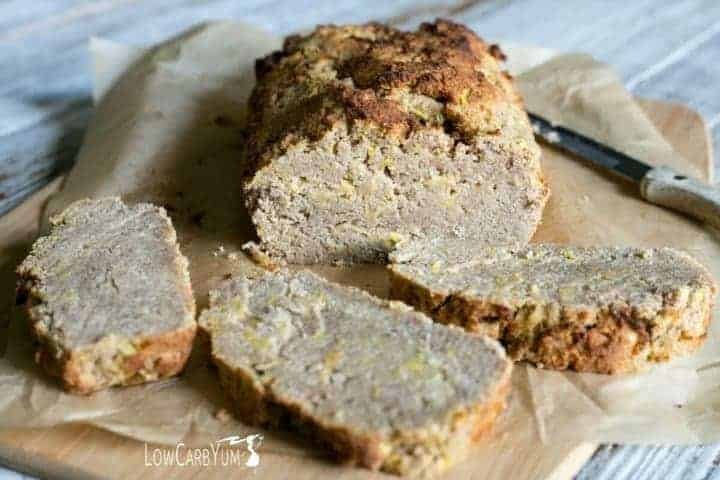 A sweet low carb summer squash bread is a terrific way to use up that extra summer produce. And, it makes a nice snack or breakfast on the go. I’m known to snack on a slice of sweet bread when I’m working at my desk in the morning. Sneaking in a bit of vegetable in a treat is always a good thing. 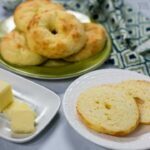 Quick breads are one of the easiest recipes to make. There’s very little prep work involved. That’s one of the things I love most about baking up a sweet bread. 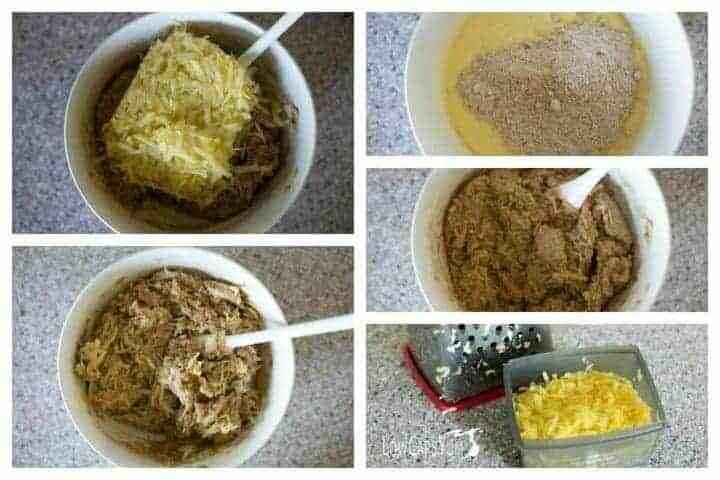 You simply mix up all the ingredients and then spread them out in a loaf pan. Easy peasy, right? Of course, if it’s a super hot summer day, you may not want to turn on the oven to bake up this bread. I have made a zucchini bread in the crock pot. 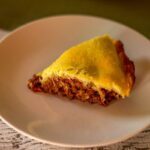 So, it’s quite possible that you could slow cook this summer squash bread in the crock pot as well. The process would be very similar. No matter how you choose to bake the bread, it’s a yummy way to cook up extra summer squash. I typically get tired of eating steamed squash so using the vegetable in a sweet treat is a nice change. 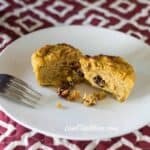 This low carb squash bread recipe would also make nice muffins. 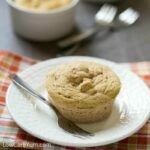 Just divide the batter evenly into muffin cups. The baking time would need to be reduced slightly so just keep an eye on them until done. 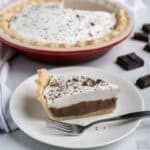 When I originally made the recipe, I used a sucralose based sweetener. I thought the artificial sweetener was a little too sweet. Since then, I have moved away from artificial sweeteners. 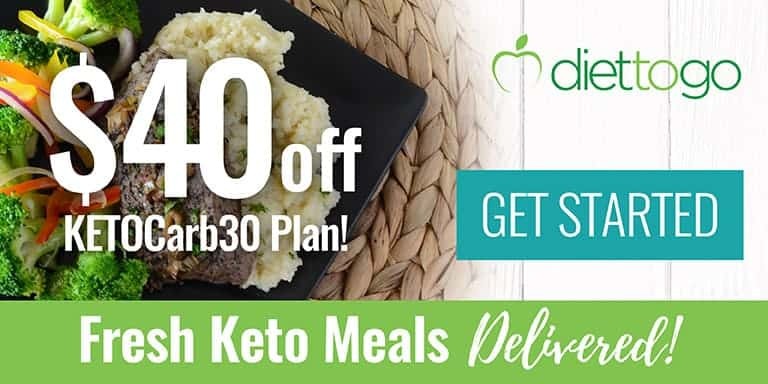 So, I use a stevia and erythritol blend now. 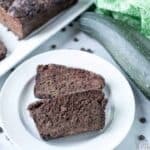 I think you are really going to love this low carb sweet bread. Especially if your garden is producing a lot of yellow squash this summer! Need some more ideas for using up those pesky yellow summer squash? I’ve also got a delicious coconut cake and a chunky custard cake made with yellow summer squash. 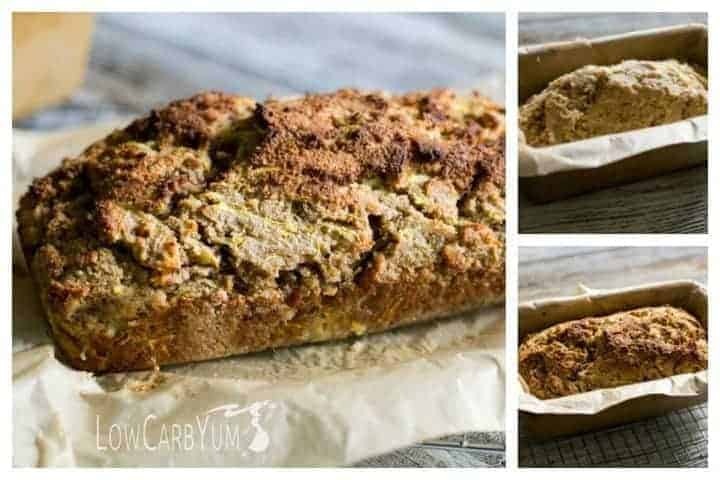 If you are getting a lot of squash in the garden, try this sweet low carb squash bread . 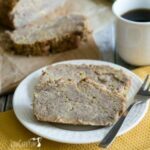 It's made similar to zucchini bread, but uses yellow squash instead. Preheat oven to 325 degrees F (165 degrees C). 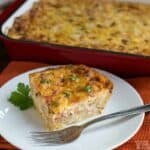 Grease an 8×4 inch loaf pan. 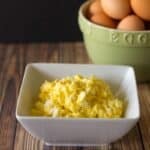 In a large bowl, beat the eggs until fluffy with an electric mixer. Beat in the sugar, butter, oil, and vanilla. In separate bowl, mix in the flour, baking powder, cinnamon, and nutmeg. 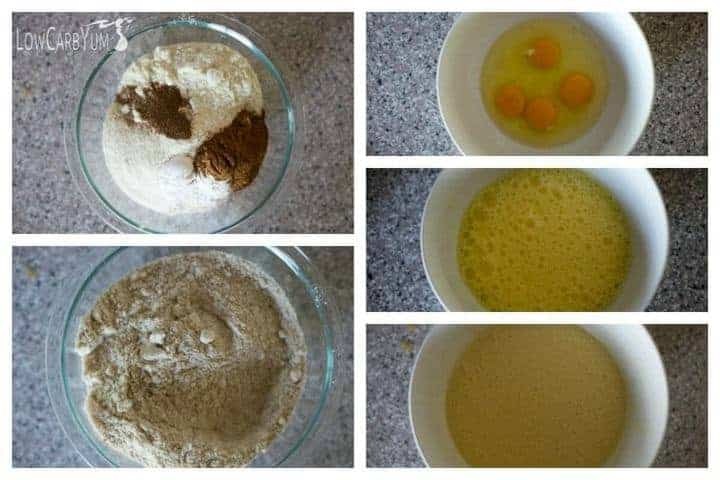 Gradually add dry ingredients to egg mixture. Fold in the squash. Transfer to the prepared loaf pan. Bake about 45 minutes in the preheated oven or until a knife inserted in the center comes out clean. To make gluten-free, replace Carbquik with 4 parts almond flour and 1 part coconut flour. I used 1 cup plus 2 tablespoons almond flour, and 6 tablespoons coconut flour.